Hi, I’m Glyn. 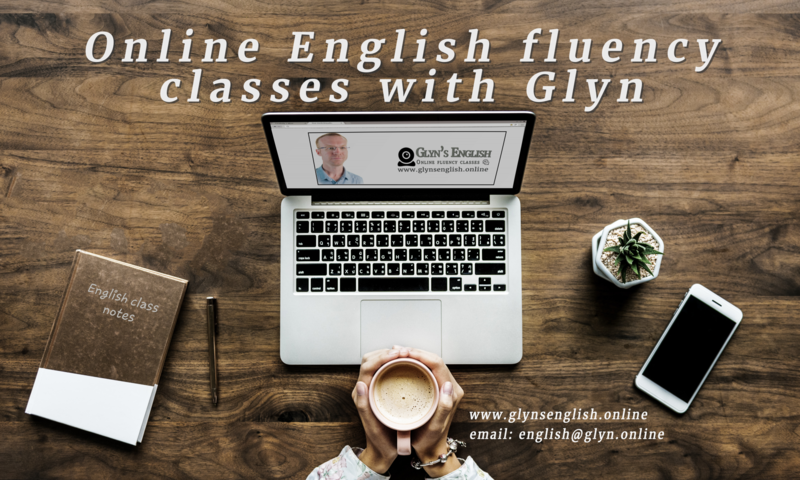 I have been teaching English for over nine years in academies, with onsite corporate classes and now online. I have worked with students who were preparing for Cambridge English exams, people who wanted to improve their English for leisure, and others for whom a competent level of English was essential for their work. I have developed a communicative style of teaching that focuses on using authentic material, avoiding the artificial recordings found in more traditional textbooks. I want to make sure that I offer the best quality teaching that I can. To do this, I have a strong ethos of constantly reviewing my work and evaluating my classes and teaching. I continue to seek out new learning opportunities and have a continuing history of frequent training (see my full training and development professional portfolio here). My blog (www.glyn.online) also contains my public reflective writings – These are blog posts which I write every year to evaluate my achievements, areas to develop and how I want to move forward next. I frequently attend local, national and international teacher training events. These include conferences from the British Council, monthly training sessions at a local teacher training centre and also online training and webinars from other professional teacher trainers and publishers. These interactions with other professionals have allowed me to developed connections with numerous other local and international teachers, teacher trainers and materials authors. I am also an invigilator for local Cambridge English Assessment exams. This gives me a unique insight into the experiences of students when taking exams. If you want to review my ongoing training and development, you can see my professional development portfolio by clicking here. Flexible,Professional and dynamic English classes that offer value for money. Classes that are not only easy and convenient to access, but personal to you and aimed at helping you to achieve your goals.